Various professional hand guns can be used for the dosage of the hot melt. The melting capacity is between 0.5 to 2.5 kg per hour (depending on the type of glue). The range has been expanded with sticks in diameter of Ø 12 mm, 15 mm and 18 mm. 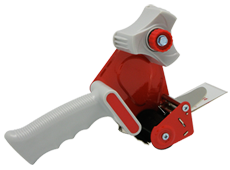 Both handheld as pneumatic guns for the processing of Ø 43 mm slugs. All employable as a professional tool for bonding. 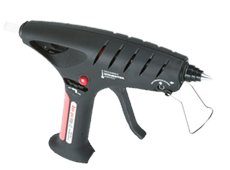 The TEC 3200 has a high output as a handheld gun applicable for packing and Assembly applications. Pneumatic there are the TEC 6100 and 7100, effortlessly in control and the processing of the glue. 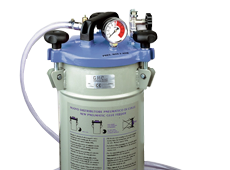 In order to be able to loosen (pneumatic) there are the TEC and TEC 7300 6300. The glue guns are a good sample in technology and use. The device has a pneumatic control and three different types. Extrusion, Spray and PUR- hot melt. All for easy processing either in hot melt or cartridges with PUR. The tank has a volume of 200 ml. granules, pillows slugs and cartridges are processable. The temperature is easily electronically adjustable. There are several accessories that can facilitate the work. Melting capacity is 1-3 kg. per hour depending on the type of glue used. 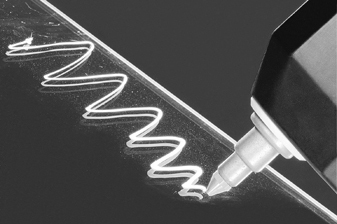 Meler is an international group with worldwide activity in everything related to solutions for the application of hot melt adhesives. There are branches in Spain (the headquarters), Germany, France, Italy and Mexico. There are 35 distributors who work closely with Meler. The development and production follow the international standard. Starting points of this Spanish producer: optimal and easy dispensing of the glue, compact dimensions easy maintenance by a well-planned product range. Glue partner is distributor of this manufacturer. 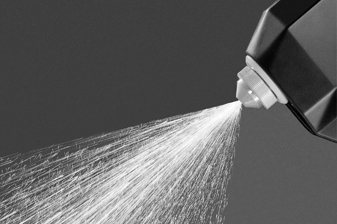 There is a complete professional range in hot melt applicators (B4 and Micron series), applicable in many industrial market segments and applications. Through our years of knowledge in this area, we are the right partner for the continually changing demands in this market. The various possibilities to do this, you can view on our website: www.lijmpartner.nl In addition to the new Meler equipment there is also a range of parts and accessories. Even compatible components which can be used on brands like: Bühnen, Melton, Nordson and Robatech. We take reasonable steps to you to provide a solid service with our own service. Are you looking for a partner for automation projects, then we are your partner. Our people can help you with the project study, supply, installation, training, warranty and service up to and including the delivery of the best suitable consumable material and all this to the best possible product-quality ratio!